An aspect of this business of which we are extremely proud is that so much wonderful, essentially ephemeral material is saved from landfill or incineration to be enjoyed into the future as it has been for generations gone. 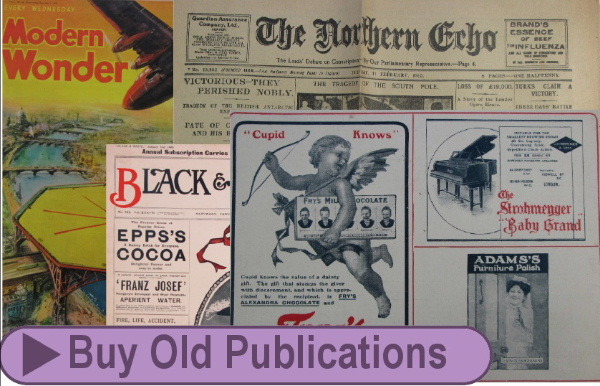 We are lucky enough to have a great variety of vintage magazines, newspapers and journals pass through our hands and some examples are described below. The Victorian and Edwardian Era One way of gaining an authentic view of what was happening in a particular era is to browse through a magazine of the time. 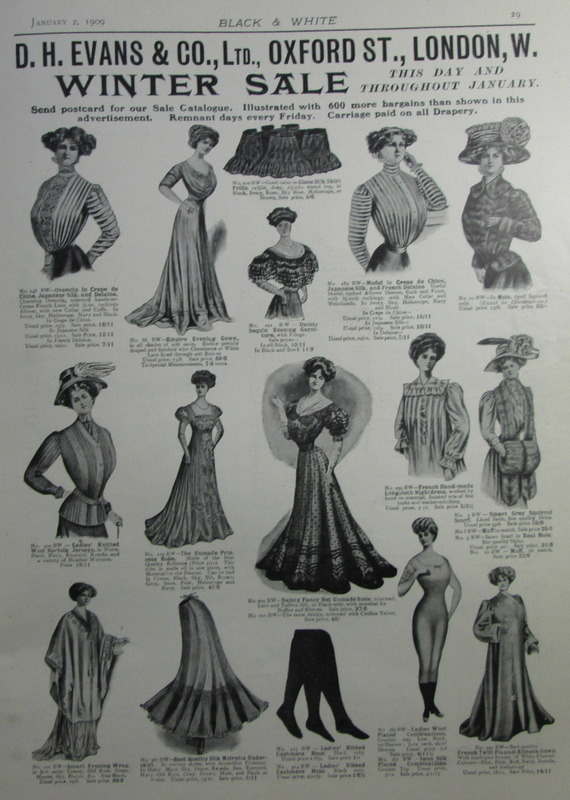 News articles, fashion features and political and social comment have always been regulars in magazines from their earliest times and the up-market ‘Black and White’ and ‘Sphere’ journals from the Edwardian era are classic examples. 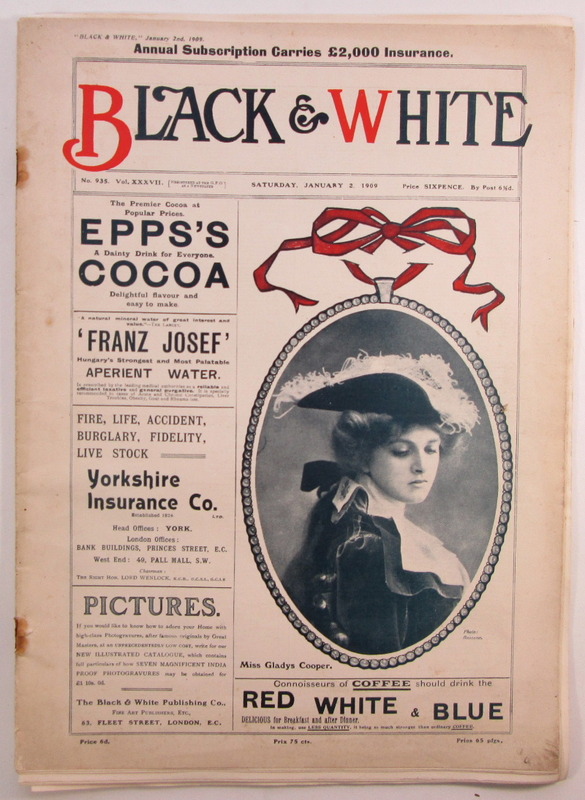 Aimed at the moneyed classes ‘Black and White’ was a weekly magazine with an international following on both sides of the Atlantic. Its attraction was the same in 1909 as it is in 2014 – a wealth of black and white photographs depicting historical events as they happened as well as authoritative narrative in such events. An earlier article in the same issue is entitled: ‘WHY WOMEN DO NOT WANT THE VOTE’ – ‘a reply to Lady Bamford-Slack’s Article, by the Hon. 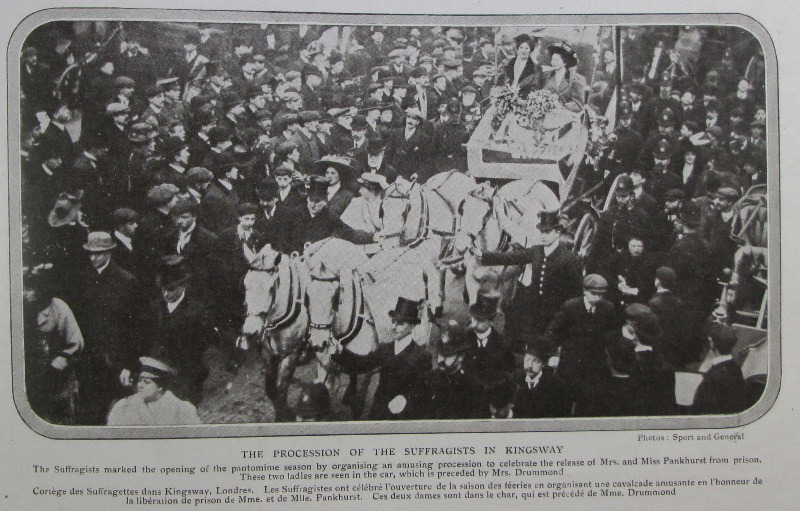 Nina Kay-Shuttleworth (Women’s National Anti-Suffrage League)’. The article asserts that ‘A large number of women voters decline to use their vote at municipal elections. They decline, as the Attorney General asserts, “to become combatants in a matter they prefer to leave to the fighting sexes”. This series of articles and photographs highlight the importance an intensity of the debate that raged at the time. The same issue has a double-page photographic spread on ‘The Great Snow Storm’ and various pieces on London theatre productions and pantomime, society personalities and ladies fashions, amongst others. That this magazine was aimed chiefly at ‘ladies’ is reflected in the advertising, which majors on fashion and household goods, although the presence of adverts for insurance and tobacco products, for example, indicate that the audience was not entirely female. ‘The Sphere’ was around at a similar time but focussed more on political and world events and depicted many stunning photographs from conflicts, around Europe in particular, and amazing travel and exploration features as well as the more comforting fashion and home-grown articles. It’s claim to be a ‘newspaper’ is, arguably, more sound than that of ‘Black & White’. In one edition, Turkish prisoners are shown ‘being brought back to the town of Podgoritza’ during the First Balkan War against Turkey (1912-1913). This is part of a multi-page photographic feature which also includes an amazing double-page illustration of the battlefield at Adrianople and Kirk Kilisse. 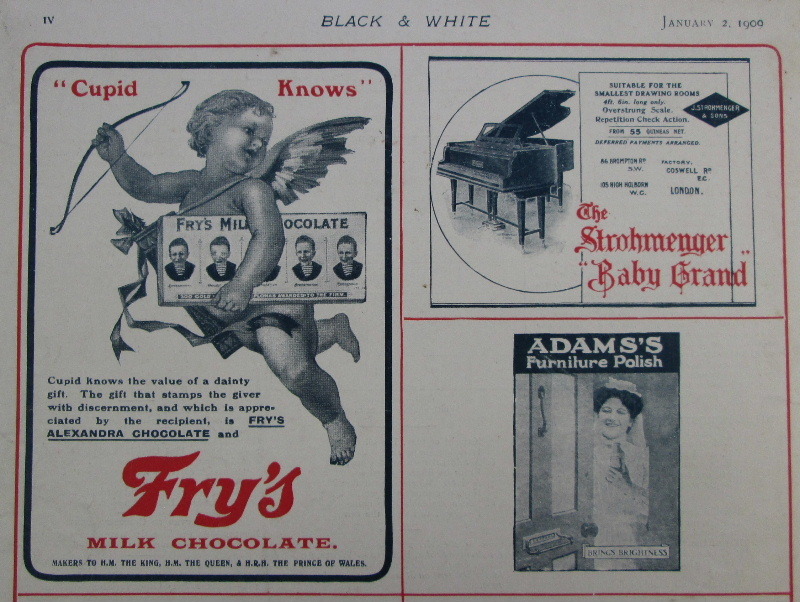 As in the ‘Black & White’ there is also a short piece of fiction as well as the usual home, fashion and society coverage together with substantial advertising content, more male oriented than ‘Black & White’. In the inter-war years there were great advances in science and technology and a number of publications sprang up with the intention of educating. 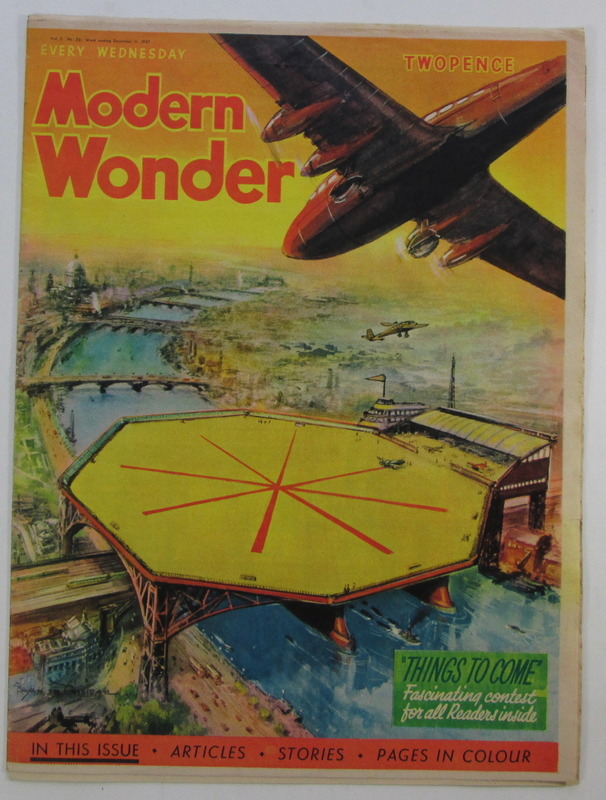 ‘Modern Wonder’ (later to become ‘Modern World’) was a journal aimed at boys between about ten and fifteen years old and was packed with articles on science and technology developments both current and anticipated. Published by Odhams, it also included at least one swash-buckling adventure serial and sometimes a further short story. 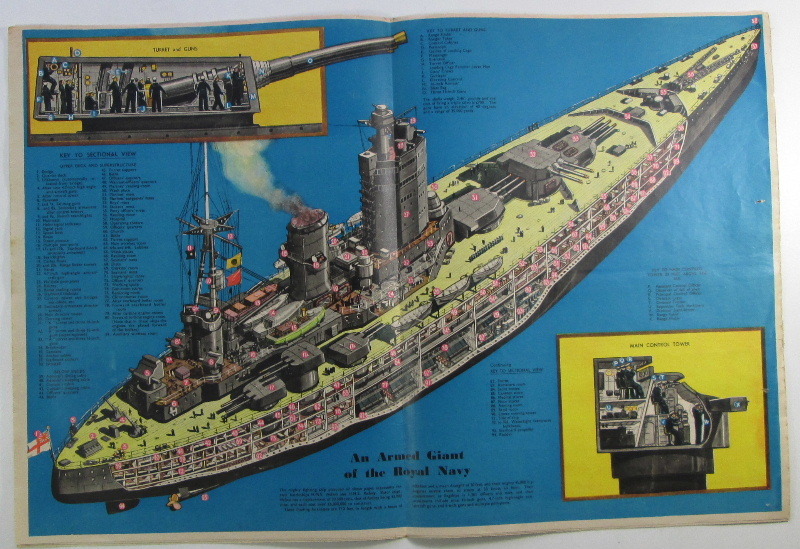 One of the striking features of ‘Modern Wonder’ was its use of colour on the outer wraps and, often, on the centre-fold feature, which typically included elaborate cut-away illustrations of a complex manufacturing process or major transportation, such as a warship, aeroplane or a fire-engine. ‘Modern Wonder’ began life in 1937 as a 32 page, large-format (tabloid) weekly publication with full colour illustrated wraps and centre-fold and was subtitled ‘The pictorial Review’. In 1939, at the outbreak of war, the name changed to ‘Modern Wonders’ and the subtitle was dropped. It boasted ‘War Pictures’ and for reasons of economy it was also reduced to black and white print with a little spot colour in red or blue for the front page. From the start of the war the journal majored increasingly in military technology and featured airplanes, ships and armaments from all sides of the conflict and there was more than a hint of propaganda in the headlines and articles. Content often included safety instructions, such as: ‘how to deal with an incendiary bomb’. In the same issue the centre-fold features the working of a standard service rifle, with cut-away illustrations and comprehensive instructions on how to load, aim and fire. There is a ‘key to parts’ with a final instruction which reads: ‘Pass this chart to your local Home Guard. During the course of 1940 economic conditions deteriorated and the journal was struggling. The name changed once again, this time to ‘Modern World’ and the subtitle was resurrected in an attempt to stimulate circulation but the number of pages reduced yet again to 12 and later in the year the format changed to a folded tabloid size, half that previously, and folded completely before the year was out. We always carry good stocks of this magazine, which was way ahead of its time. Some of its technology features seem very far-fetched today but some were genuine precursors to actual developments. These magazines are popular now for collectors of particular subjects, such as Railway locomotives, which often featured in the centre-fold with cut-aways, or for military interest, especially the war-time issues, or simply for nostalgia or for the simple fascination of a time gone by – a genuine ‘World of Wonders’. Noteworthy old newspapers are becoming increasingly difficult to find as due to the high acid content and cheap construction of newsprint they deteriorate relatively quickly over time and those that come to us have often been in poor storage conditions, perhaps at the bottom of a box in a loft, and are yellowed and often flaking. 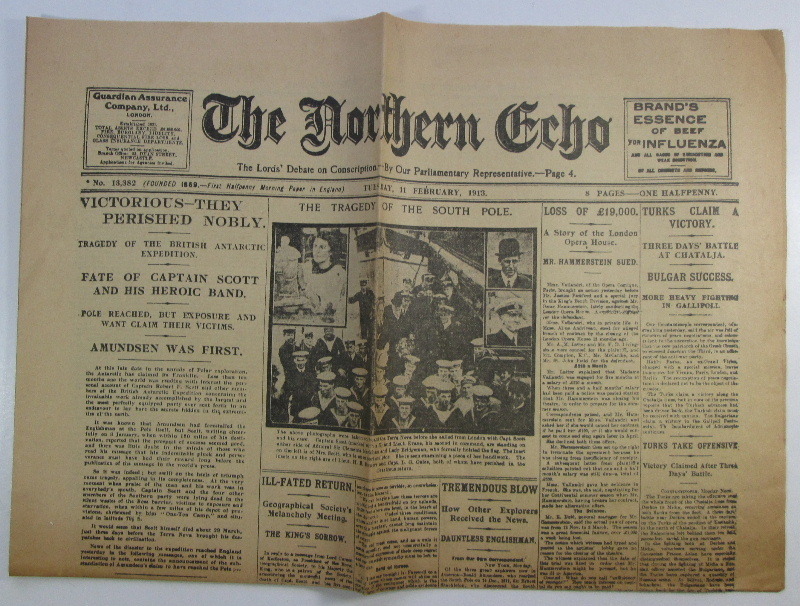 However, we are lucky enough to have a steady flow good examples such as the February 1913 Northern Echo with coverage of the unfolding tragedy of Scott’s South Pole expedition, which takes up much of the available space in the single-sheet publication. There is nothing like having a real piece of history in your hands and careful handling and future storage can provide you and your successors with a wonderful contemporary record of an event of national or international importance, as seen through the eyes of the journalists of the day. From the 1930’s onwards many magazines of specialist interest sprang up as consumerism increased, entertainment was more varied and technology became more popular. 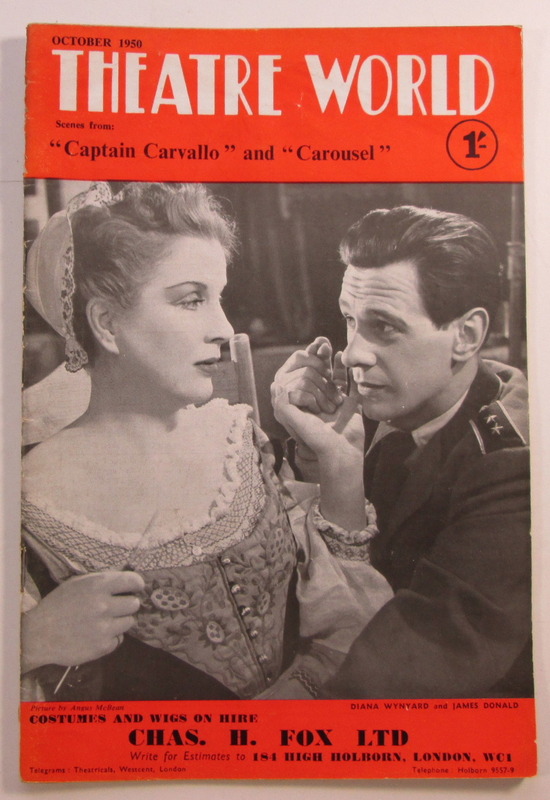 One such magazine is ‘Theatre World’, which enjoyed popularity from the 1930’s to 50’s as theatre-going was at its height of popularity and such prominent actors as John Gielgud, Lawrence Olivier and Vivienne Leigh graced our stages. And whilst the theatre and cinema were good reason to go out lower cost housing made it possible for those on lower incomes to enjoy hobbies and past-times such as gardening, amateur electronics, and motoring and magazines on all manner of subjects proliferated. 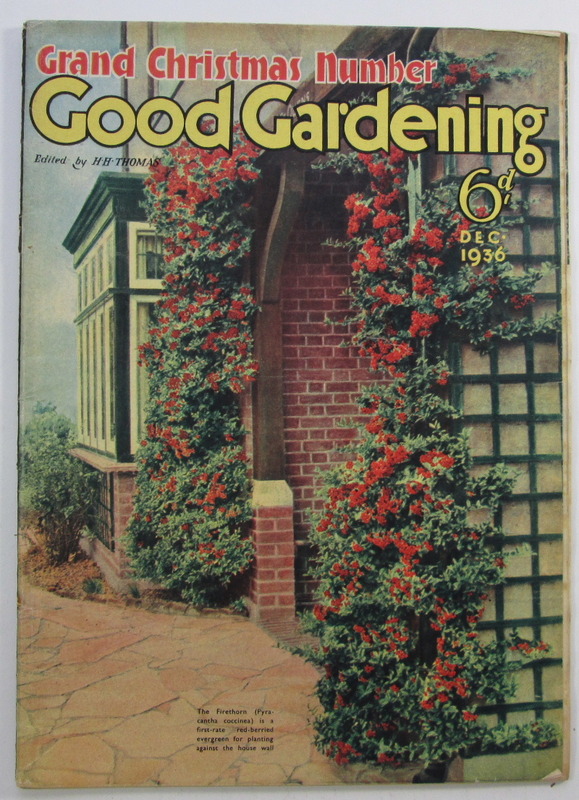 Advances in photography and printing led to wider use of higher quality illustration and an increasing use of full colour as in the 1936 Christmas issue of ‘Good gardening’, shown below. Many good examples survive and we always have a good variety from the 1930’s onwards.